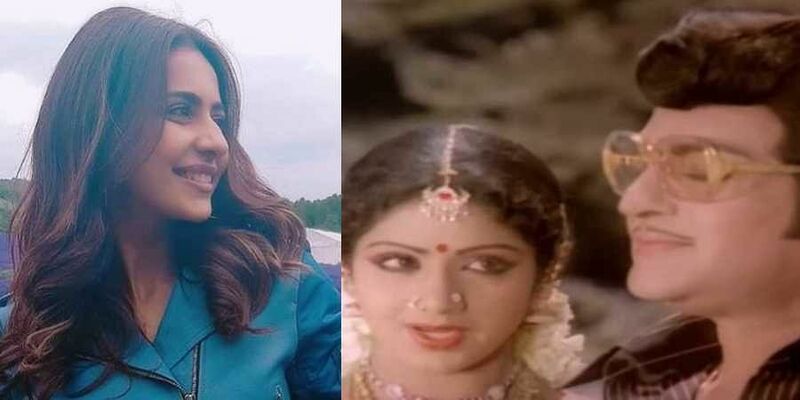 Actor Rakul Preet Singh is all set to play late superstar Sridevi onscreen in the upcoming biopic of Telugu cinema icon and former Andhra Pradesh Chief Minister NT Rama Rao. Sridevi and NTR hava acted in 14 films together. Left: Rakul Preeth Singh. Actor Rakul Preet Singh is all set to play late superstar Sridevi onscreen in the upcoming biopic of Telugu cinema icon and former Andhra Pradesh Chief Minister N T Rama Rao. According to Mid-Day, the makers of the film has confirmed that Singh is their only choice for the role. The biopic, directed by Krish boasts of a huge star cast- including Vidya Balan as NTR's wife Basavatarakam and Rana Daggubati as AP chief minister Chandrababu Naidu." NT Rama Rao's son Balakrishna will essay the role of the TDP founder in the movie. Rana had recently tweeted that he met the AP CM and said "What an honour it is to play the role of the Honourable ChiefMinister of Andhra Pradesh Mr.N.ChandraBabuNaidu @ncbn in the #NTR biopic. Thank you sir for giving us your valuable time. Vidya Balan, who plays NTR's wife Basavatarakam in the bilingual project, said that she is excited about her first full-fledged film down South. "It is my first Telugu film, so I am very excited as I have never spoken and delivered dialogues in other language. I did a small appearance in a Malayalam film but here I have a full-fledged role. I am playing NTR ji's wife Basavatarakam," Balan told reporters in Mumbai. Written by Sai Madhav Burra, the movie will have music by MM Keeravani. Story for the film has been written by Srinath L and Vishnu Induri. The movie is jointly produced by N Balakrishna, who plays the title role in the film, Vishnu Induri and Sai Korrapati.